President Donald Trump’s tax cut and deregulatory policies boosted the economy, but it still “needs more gas in the engine,” said Allianz Chief Economic Advisor Mohamed El-Erian. Worried about a slowing economy, El-Erian urged Trump to work with Congress to pass an infrastructure bill, saying the initiative would “mostly pay for itself” due to low interest rates and the opportunity for public-private partnerships. El-Erian made the comments to Editor-in-chief Andy Serwer in a conversation that will air on Yahoo Finance on Thursday in an episode of “ Influencers with Andy Serwer ,” a weekly interview series with leaders in business, politics, and entertainment. During his tenure as CEO, El-Erian helped PIMCO grow its assets under management to as high as $2 trillion. At the same time, he led a team of advisors that instructed President Obama on global development. Before that, he took charge of the billions in Harvard University’s endowment and worked as deputy director at the International Monetary Fund. Since 2014, El-Erian has served as the chief economic advisor at Allianz, the parent company of PIMCO. 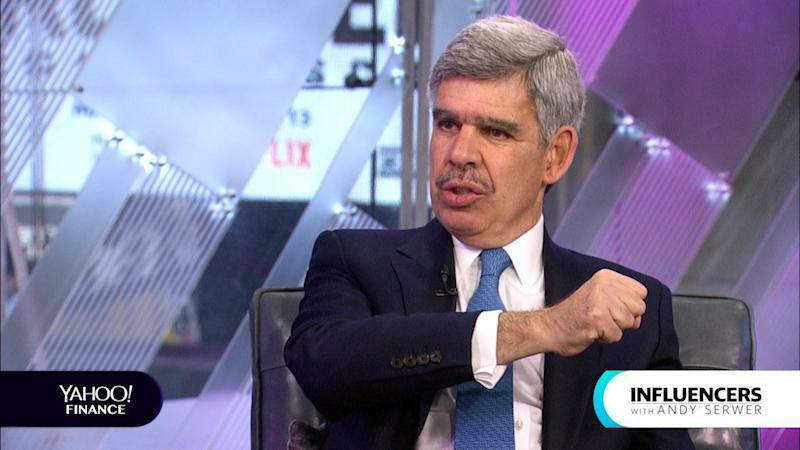 The remarks from El-Erian come amid heightened fears of an economic slowdown. On 60 Minutes on Sunday, Fed Chairman Jerome Powell acknowledged “a bit of slowing.” The concerns followed a disappointing retail sales report for December and a mere 20,000 jobs produced by the economy last month. An infrastructure overhaul will allow the U.S. to “navigate well the slowing in the rest of the economy,” El-Erian said. Then, the Fed can “normalize without a high risk of an accident,” he added. In a $4.7 trillion budget proposal submitted to Congress on Monday, Trump requested $200 billion in infrastructure spending as part of an effort to leverage a total of $1 trillion in public-private investment. Democrats have criticized this approach to infrastructure spending, demanding greater government spending and tax changes to fund it. The budget proposal also called for $8.6 billion in funding for a border wall, suggesting that Trump will again confront Democrats over an issue at the heart of a 35-day government shutdown that began late last year.